Planning on renovating your kitchen or bathroom? Don’t ignore those windows! The perfect window treatment can separate the “great” rooms from the “nice” rooms. You may be wondering. “How much flare can I really add to my kitchen and bathroom?”. The answer is: a lot. Here are a few suggestions to get your creative juices flowing. Concerned about putting an expensive treatment in your bathroom, only to have it be ruined after a few weeks of being exposed to your hectic morning routine? Here’s a treatment solution that won’t mind long, hot showers and steamy interiors – Faux Wood Blinds. These blinds are constructed from synthetic woods in order to prevent warping and resist mildew – the perfect bathroom treatment. Faux Wood Blinds are available in 8 beautiful finishes and 17 decorative tapes. When selecting bathroom window treatments it’s good to consider an elegant look for your bathroom as well as practical functionality. 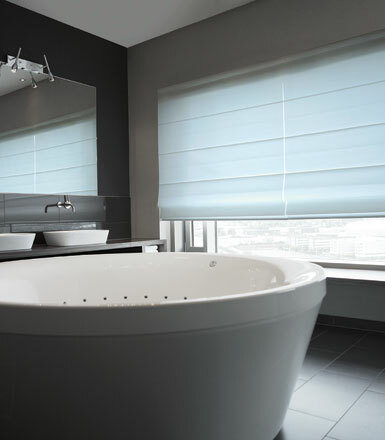 Cascade Roman Shades offer a classic roman look with excellent functionality. The hand-stitched pleats and sewn-in aluminum dowels give this shade its unique, free falling appearance. With over 300+ exclusive materials, including collections from top designers, you’re sure to find a look to liven up your bathroom. If you can’t stand the heat, put pleats in the kitchen! XL Pleats are our most versatile shade and perfect for light control if you’re finding the afternoon sun is cooking your food before you do. Consider the top down/bottom up option for optimal light management. 70+ exclusive energy efficient materials available. Want UV protection for your floors and cabinets but also want to maintain your view? Solar Shades are the answer. 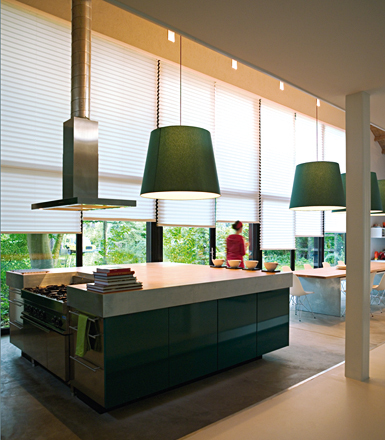 Sleek, modern and energy efficient, solar shades look great in your kitchen while providing an array of additional benefits. 60+ eco-friendly materials available. 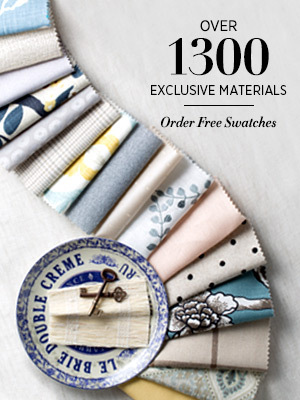 Come visit us at one our showrooms, where you can experience our custom-made window treatments first-hand. Not by a showroom? 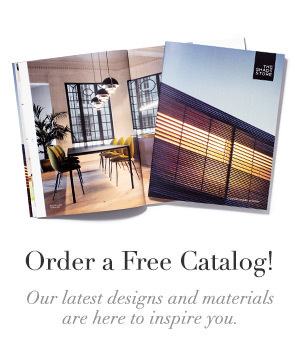 View our entire product catalog online. 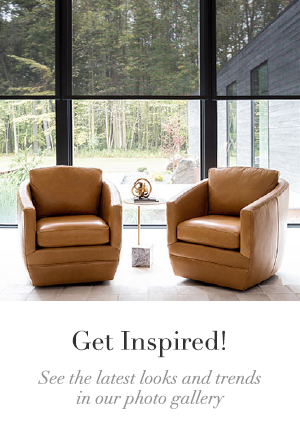 Don’t forget to follow us on Facebook, Pinterest and Twitter!